I am a music producer and recording engineer specialising in artist development for songwriters and bands. I can take artists from basic song ideas to fully produced, ready-to-release products. If you’re looking for an outside ear to really help you develop your music, get in touch. I work closely with songwriters and bands to create a unique recording that really speaks for them and represents what they’re about. I believe that working with a producer is a relationship that develops and benefits both parties as they get to know each other both musically and personally. I also run Ubiquity Project Records, a non-profit record label set up to aid local bands and enhance the music community in the area. Many of my closest, recurring customers are now a part of Ubiquity Project Records. 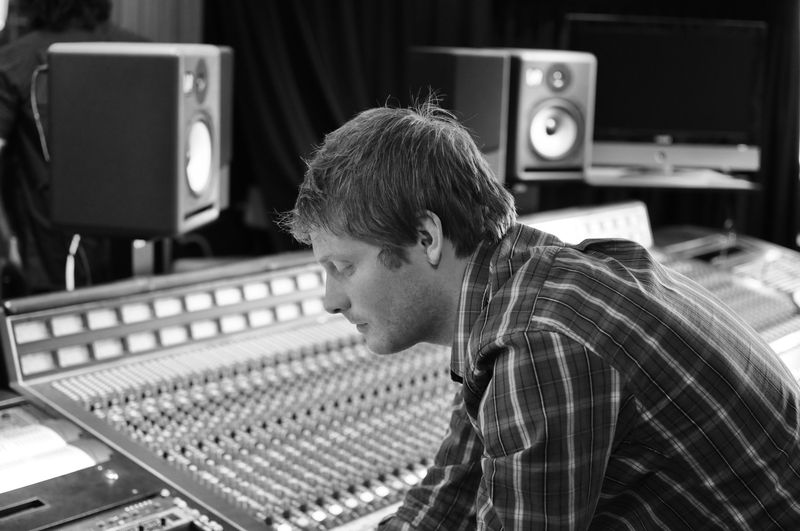 I work at Silver Street Studios for recording and analogue mixing & mastering. Silver Street Studios is fully equipped and incredibly flexible which is perfect for my style of recording. We have a range of top pre-amps and microphones that enable me to capture anything from warm vintage tones to crisp, bright and modern pop sounds. The live room is large enough to hold full bands but has adjustable acoustics to tighten the sound up or to open them up and let the room speak and become part of your performance.